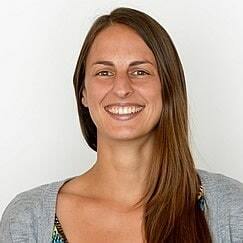 Editor’s Note: At 18 years old, Mallory Weggemann walked into the hospital for an epidural she was receiving as part of a standard course of treatment for residual pain from a prior case of shingles. As a result of an injection gone wrong, she did not walk back out of the hospital. 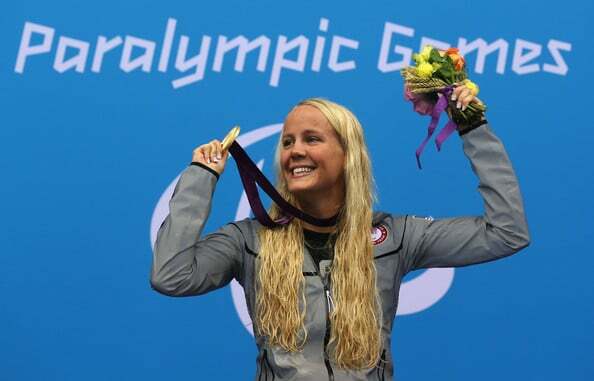 Despite becoming paralyzed, Weggemann was not ready to leave behind the sport of swimming, something she’d been practicing for more than half of her life. 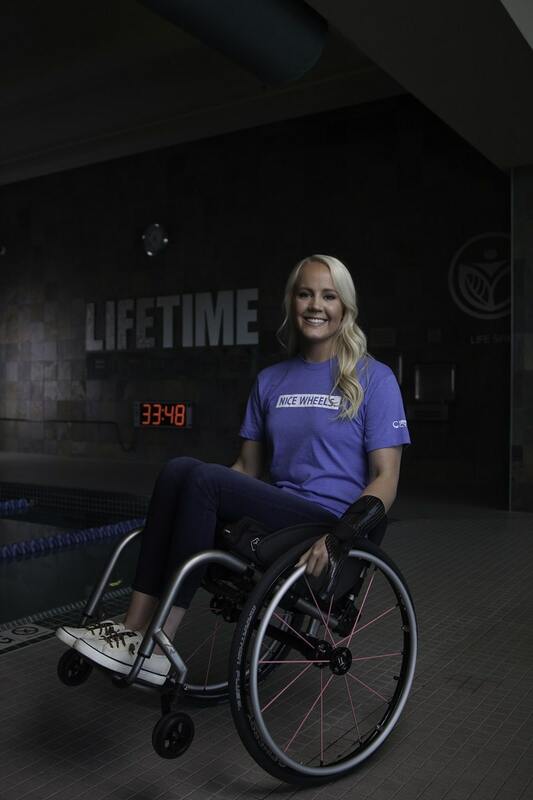 She eventually found her way back into the pool and has since made more than a splash, breaking world records, winning Paralympic golds and being an ambassador for spinal cord injury awareness. 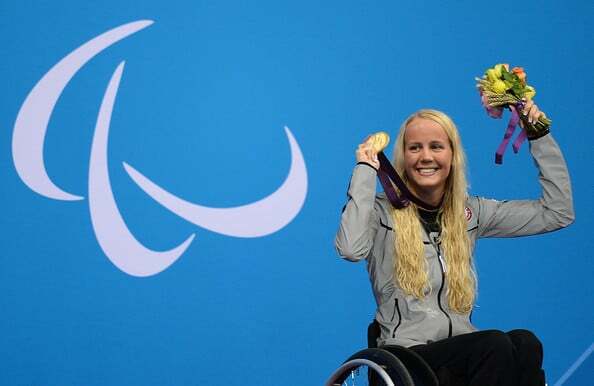 She was also named the World Disabled Swimmer of the Year in 2009 and 2010, was awarded the Best Female Athlete with a Disability ESPY in 2011, and was featured in the documentary, The Current. I grew up in Minnesota, and I’m the baby of three girls. My two older sisters swam on club and school teams. Being the youngest, I always got towed to practices and meets. A lot of why I started swimming was the whole feeling of wanting to be like my sisters. Seeing them swim and interact with their friends, it just seemed like a really fun environment. So, when I was seven years old, I started swimming competitively and never really looked back. When senior year of high school came around, after the swim season was done, I decided to take a bit of a break. I was having some issues with really bad back pain stemming from shingles. Unfortunately, they never fully healed, and I got a condition called postherpetic neuralgia, which caused residual nerve pain. So after my senior year of high school, I decided to stay home for a year and do community college locally. For the following year, I wanted to go to a bigger out-of-state school, so I really wasn’t looking to swim, because I would have been a walk-on at a large Division I school, and I didn’t know if I wanted to do that anymore. For the postherpetic neuralgia, one of the things they were doing to help with the pain was epidural injections. The day that I went in was actually my third injection. It was this idea that we’d do a series of three injections and with each one, I’d get a more extended time of relief following it. I got my second one right before high school graduation, so I’d had a good solid seven to eight months of relief. We went in for that third injection on January 21, 2008. It was Martin Luther King Jr. day, and I had the day off from class, so I decided to go in and do it. It was supposed to be a very simple outpatient procedure, but unfortunately, it didn’t go as planned, and I ended up being admitted to the hospital and started this journey of living with a spinal cord injury. For a while, I spent a lot of time trying to figure out what happened in that room and why it happened and what went wrong. Unfortunately, those are answers that I may never have. I may never know what physically happened in that room, other than I walked into it, we did the injection, and I didn’t walk out of it. You get to this point where, with any traumatic situation in life, you learn that sometimes you have to find a way to give yourself your own closure. You have to close that chapter and allow yourself to move forward and not ask the whys and what ifs. When I was in the hospital in the physical rehab unit, they had heard that I was a swimmer, so they did pool therapy with me. I still remember the first day I technically got back in the water. It was about three weeks after my injury. I had my mom and dad there, and I remember as they wheeled me into the pool, I realized that I couldn’t feel the water on my legs. I think that was the first time it really hit me in those three weeks that I truly couldn’t feel my own body. The pool was this place that my entire life was my safe haven. It was my sanctuary. It was what I knew best. It was second nature to me. When I got in the water that day, I realized how little control I had of my own body. I constantly kept telling myself, “Mind over matter. Act like you love it. It’ll come back. The water could be a good place for me.” Eventually, it just got too hard. I found myself in tears more often than not when I was in the pool. I felt like all of those years of happy memories were being taken away and being replaced with these memories, and I didn’t like that because the water had always been my sacred place. I stopped doing pool therapy and didn’t think I would ever return; I wanted to savor those happy memories from my childhood. The first weekend in April 2008 (I had been out of the hospital a few weeks at that point), my oldest sister was home, and she saw a newspaper article about the Paralympic Trials for the 2008 Beijing Games that were happening that weekend at the University of Minnesota. 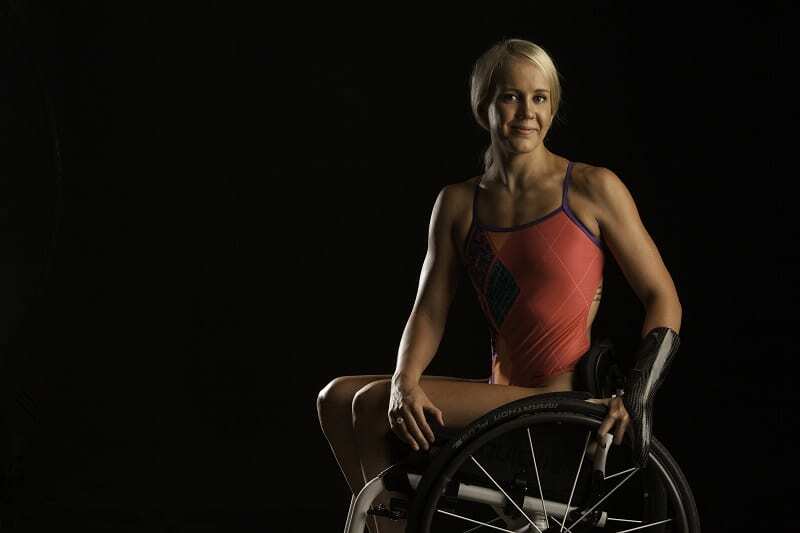 At that point in my life, my family and I knew nothing about the Paralympic movement. We had never been exposed to it, so we didn’t really know what to think. My sister and I ended up going, and I remember getting to the pool as the finals were going on and seeing athletes with all different levels of impairment competing. They were competing for their chance to represent Team USA at the Paralympic Games, which was a pretty darn big deal. I was just in awe. There were mixed emotions, because the last time I had been at that pool, I was walking; but when we got there, it was like nothing else mattered. I saw people for the first time that I felt were like me. There were individuals in wheelchairs. There were individuals that were vision impaired. There were individuals with amputations or cerebral palsy. You name it — everyone was there. Other than in the hospital, I hadn’t really been around people that I felt I could relate to. I went down to the pool that night and spoke to a few coaches and athletes, and I ended up meeting a man who coached the club team at the University of Minnesota. I went home to my parents that night, and I said I wanted to get back in the water. I think they thought I was kind of crazy because they had seen how horrible pool therapy was, but they were supportive. Two days later, my dad took me to the University of Minnesota. I didn’t bring my suit or anything I needed to swim, because there was that fear. What was it going to feel like? After a few minutes of talking to the coach, one of my high school teammates who was a Minnesota Gopher, came out of the locker room, because they had just finished practice. She, of course, had more than one suit in her locker, so she went back in, grabbed a suit, came out, and I was told to go change. I was thinking, “I guess I’m doing this. I guess I don’t really have a choice at this point, right?” All I could think about while I was sitting in the locker room trying to put the suit on, and even getting out on the pool deck, was all of the emotions that I had during physical therapy. It was really hard to muster up the courage to get in the water that day. I think I realized at that point that I was two and a half months into my injury, and I was going to have to start making hard decisions. I knew getting back into life wasn’t going to be easy. There was going to be fear associated with it. But I also came to the conclusion that, although I was paralyzed with a spinal cord injury, the only thing that was truly going to paralyze me moving forward into my future would be those fears, and I had to find a way to get past them. I took my leap of faith that day, and I got in the water. I just remember that within four or five strokes, that black line at the bottom of the pool felt like home. With every arm stroke, I was moving further and further away from my wheelchair that was on the pool deck. For the first time since my injury, I felt free from it all. I felt at home. I felt safe. I felt like I was in this world where I could control my own body. 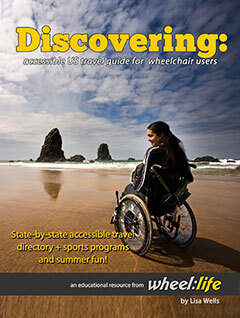 On land, I was still learning how to use my wheelchair. I was still very new at this and still trying to figure out how to transfer, how to get in and out of the car, and how to just live. In the pool, none of that mattered. I could swim. I could put one hand in front of the other and move myself forward. It was terrifying, but it was one of the most significant moments since my injury in just moving forward and making that choice to do so. As a result, I’ve been able to do that for many different things in my life, but I had to start from there. 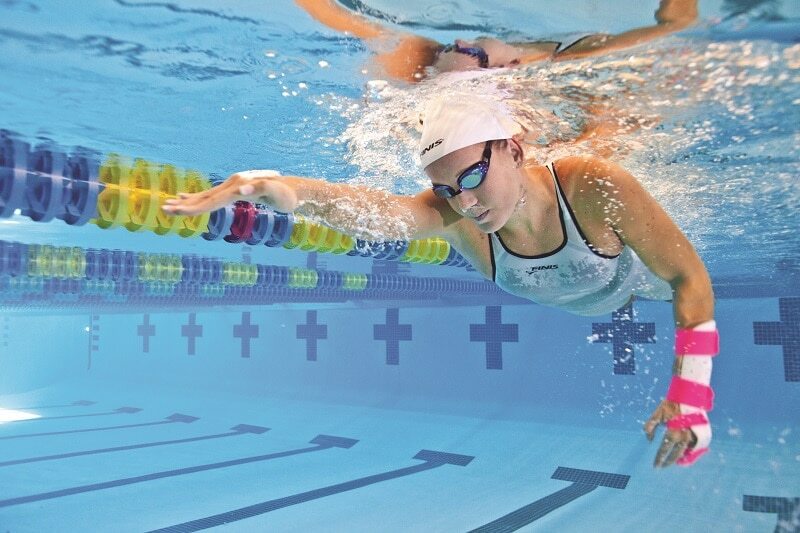 I always say that after my injury, swimming saved me. There were a lot of hard times that came along with my injury — a lot — but the one constant that I felt I had in all of that was the pool. Some days, going to practice, as bad as it may sound, was my way of running from it. When I was in that water for two hours, I could focus on the bottom of the pool and the clock and find ways to make myself faster and stronger and physically excel. I felt like society was telling me that because I was disabled because I was paralyzed because I had a spinal cord injury, I was incapable of physically doing things. Going to the pool every day was my way of fighting back. It also became my place where, when I was struggling, it was my healthy outlet to go to and run away from it all. 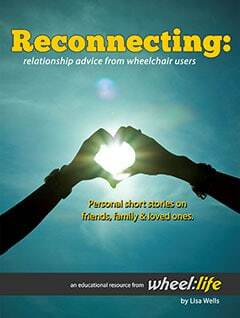 It was my place where I could challenge the perception that came with living with a disability. I felt like every day I went to that I pool, I could become faster and stronger and more efficient in the water. I was fighting against that stereotype that I’m physically incapable. The more I could do that, the stronger I felt, and the more empowered I felt to do that in other aspects of my life. It was my place where I learned how to live again. It didn’t happen overnight. It took a long time, but I’m very fortunate that I found a healthy outlet so early on in my injury. If I hadn’t, I don’t know where I would be. I got back in the water in April of 2008, and I made the US national team in March of 2009. In August of 2009, I broke my first few world records. Before my two-year injury anniversary came in January 2010, I had been named to the national team, I had broken a number of world and American records, and I had won five world championship medals in the fall of 2009. I think it was right around that time when I realized London was on the radar. My coach at the time didn’t know me before my injury. So, when I got back into the water that April, there wasn’t a sense of loss to him. My family, friends, and community were all grieving my paralysis as much as I was; but he just saw an athlete that wanted to swim. He encouraged me very early on to always have short-term goals, long-term goals, and “high in the sky” goals. As I learned how to use my body again, and as I learned the new stroke techniques that worked best for me, I progressed really fast. We kept readjusting those “high in the sky” goals. When I made the national team, my “high in the sky” goal was going to London, and then by the fall of 2009, it became medaling there. Looking back, medaling probably wasn’t really “high in the sky”, considering I’d just won five gold medals at the World Championships. But I still had so much more to learn about the sport, and I was so new to being disabled. Since swimming was the one thing that I could control in my life, I became hyper-focused, and I progressed very quickly. I was still grieving my injury, but at the pool, I could excel and move forward and do something about it. Swimming became my healthy addiction. I had no idea what to expect going into London. You dream of it; you build it up on this pedestal. People say, “Don’t build it up too high, because what if it doesn’t live up to your standards?” Well, London blew every standard I had ever imagined away. I had no idea what I was getting into. Everything about the London 2012 Games was incredible. There was so much energy. But it also brought its challenges for me as an athlete, and it was some of the lowest and highest moments of my career in one experience. An unexpected review of my classification came about a few weeks leading into the Games, and I ended up getting brought up a class just days before competition started. Editor’s Note: In the sport of para-swimming, a classification system is used to evaluate each athlete’s abilities and limitations. Based on several factors, including medical diagnosis and functional assessments, athletes with physical disabilities are categorized on a scale of one to ten, with one being the most severely impaired and ten being the least impaired. Dealing with that was tough. Classification is something that is not perfect. Every disability is so incredibly different and has its own complexities. As the sport continues to grow and evolve, they’re continuing to learn and make the process better. Unfortunately, the decision was made, and as an athlete, you just have to go with it whether it’s fair or not and whether it makes sense or not. You just have to grin and bear it, because if you focus on it too much, it’s the end of you. I would now be competing against girls that I had never raced before, and my race days and events completely changed. Everything my coach and I had planned for had changed a few days before the competition started. I went in thinking my goal was nine medals, and I left with two. But, I believe that the gold and bronze that I brought home from London mean so much more than any of those nine could have meant because of the soul-searching and fighting that I had to do. It’s not like I had months to adjust — I had hours. I realized the importance of the mental component of swimming on a whole new level in London. One of the biggest successes for me there was finding a way to get my head on straight and take some completely undesirable circumstances and mentally focus to the point that I could come away with a gold medal. I was in fifth or sixth place at the 25-meter mark, and to not let myself mentally give up and just keep fighting is probably one of the proudest moments of my career. I know how much fight went into it, not physically, but mentally. You can be physically prepared, but if you’re not mentally present, it doesn’t matter. You made it to race day. When you get to finals, those seven other athletes are physically prepared, too. Most races come down to the mental battle and who is able to mentally perform their best that day. London was a really big learning experience for me. As hard as it was, I was able to leave with a lot of incredible memories and a lot of learning, and that’s just imperative as an athlete. You constantly have to be challenging yourself. You’re never too old or too good to learn and become better. It was also a really neat moment for me in my personal life realizing how far I had come in four years. I still remember sitting on the podium that night looking down the pool and seeing the American flag raising. I looked to the left and saw all of my Team USA teammates. To my right were my family and my coach. I realized that as incredible as that moment was, the gold medal had nothing to do with the race. It was about the journey. It was about the love and heartbreak. It was about the community more than anything and the people that never gave up on me, empowered me, supported me and pushed me to become better each and every day. To be in that moment realizing one of your greatest challenges in your athletic career is so much bigger than you is one of the most humbling and incredible experiences you could ever imagine. I wish I could bottle up that moment and relive it. Unfortunately, you don’t get to do that! I had a severe injury to my left arm in March of 2014. An accessible shower bench at a hotel I was staying at broke in the middle of my shower and dropped me to the ground. As a result of the fall, I have permanent nerve damage in my left arm. I was out of the pool for six months and thought I was going to have to retire. My boyfriend at the time, now husband, knew that I did not want to be done. He knew that every part of me was not ready to hang it up yet, so he reached out to my former high school swim coach who I had been very close with. I started meeting up with him for 30 minutes a couple days a week, but I could hardly swim. I had gained around 25 pounds because I had such limited movement in my arm. 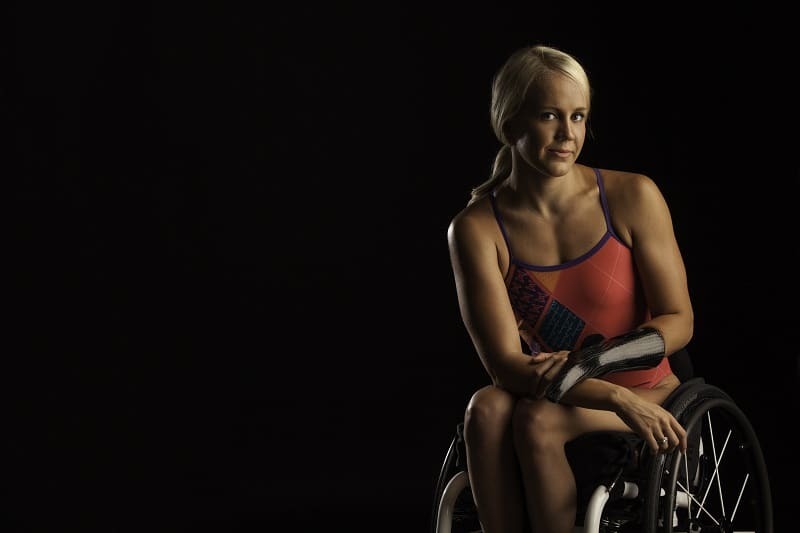 It was a tough process, but I had always envisioned competing in more than one Paralympic Games. I knew that I didn’t want to give up that easily on that dream. So I vowed to myself and shared with my coach and my family that I wanted to see this through. If I just gave my best every day, which some days meant simply getting out of bed, then that would have to be enough. I knew that at the end of this road, if I didn’t give it everything I had, that it would be more painful to me than dealing with the day in and day out stuff. So I made a commitment to it. I went to the Pan American Games in the summer of 2015 and won two golds, two silvers and a bronze there. We pushed really hard the final year before Rio, and I made the team on July 3. Unfortunately, I didn’t medal there, but I did have some incredible swims for myself. I went in thinking, “If I don’t medal then what’s this about? It’s a failure.” But, I realized that success and failure in an athletic career aren’t always based off of medals. It was a lesson that was really hard for me to learn, because I had never gone to an international competition and not medaled; but it was a lesson I needed to learn. I needed to come home from the Games realizing that the reason why I love the sport isn’t because I’m good at it. I love the sport because I love it, even in moments when people could chalk it up as a failure, I still love the sport more than ever. As I go into 2020, I’ve been swimming for over 20 years, and I still love the sport just as much as I did as a kid. My dad threw me into the speaking circuit back in 2011. I used to be terrified of speaking, and now I love it. A lot of my speaking is a conversation around life experiences and how we as individuals overcome adversity, how we make those series of choices in our own lives, whether personally or professionally, to keep us moving forward. Speaking is a huge passion outside of the pool. I love the ability to connect with people. I love meeting different individuals and hearing their stories. It’s a really neat experience, and a lot of times, I think my audience inspires me more than I inspire them. As I’ve gotten older, I can’t focus 100% of my energy on the sport of swimming; otherwise, I won’t be the best athlete I can be. The speaking and traveling isn’t a distraction from swimming; it’s more invigorating than anything, and it really helps keep me energized. My swimming fuels my speaking, and my speaking fuels my swimming. I continue to focus on speaking and finding ways to give back to the sport of swimming and the Paralympic movement. I decided that I don’t want to wait until I leave the sport to have an impact. I want to help bring that next generation into the sport, so I can hang up my suit, cap and goggles knowing that I left it better than I found it. If we all do that as athletes, that’s how change happens; that’s how we continue to advance our sports and the movement as a whole. It’s so important to do that because the sport, whatever it is we compete in, has given so much to us, and it’s important to make sure we give back to it. All of our sports can constantly improve. No matter how good they are, they can constantly get better. Just like we as athletes can always do better. I’m super excited about the Wings For Life World Run. I love the idea. It’s so untraditional. The cool part about it is that they’re raising awareness to spinal cord injury in a way that really isn’t done. There’s a lot of learning to do about SCI and a lot of research that can be done; so to have a group that’s so dedicated to that focus is really neat. The way the race works is they have a catcher car that comes after you. You start the race and after 30 minutes, the catcher car is released, and the finish line starts coming for you. I don’t know how far I’m going to make it, but I’ll be there as an ambassador for the movement. Editor’s Note: The Wings for Life World Run will take place on May 7, 2017 at 7am EDT at multiple locations across the world. 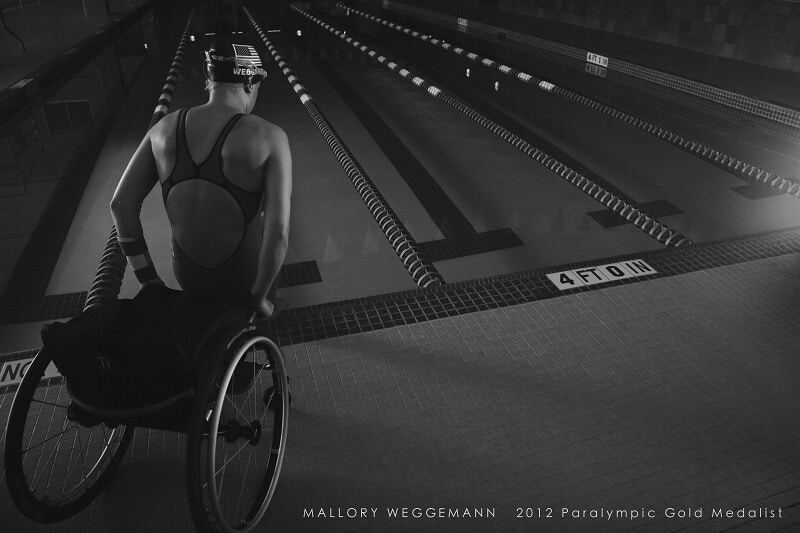 Mallory Weggemann will be racing in Sunrise, Florida. You can join her team from wherever you are by signing up here. Using the app (Apple App Store or Google Play), you can participate in the race from anywhere in the world. 100% of donations and entry fees go to spinal cord injury research. For more details, visit wingsforlifeworldrun.com. The biggest piece of advice I’d give somebody with a new injury would be to allow yourself to embrace the uncertainty. When you’re newly injured, so much of your life gets thrown into the air. You feel like everything that you thought about prior to that has a question mark next to it. I think that’s a fairly universal feeling for most people with a new injury. The biggest way to have success in moving forward is to find a way to be comfortable with the uncomfortable, to push yourself, to not allow those fears of uncertainty get the best of you, and to put yourself out there. It’s scary. It’s absolutely terrifying, and it sounds so much easier than it is, but it really is the best way to move forward. Ultimately, injury or not, we all have to find a way to face our fears; but in a situation like that, there are just so many that take hold. Find a way to face those fears, and don’t over analyze everything. Taking it head on, even on days where it absolutely terrifies you, is the best thing you can do for yourself in the long run. The way to find the strength to do that is to remember that you have a community of people around you that love and support you. Whether that be family members, friends, mentors, therapists, whoever it is, lean on those people. That’s what is going to give you the strength to face those uncertainties and take charge so you can challenge yourself and move forward with life.